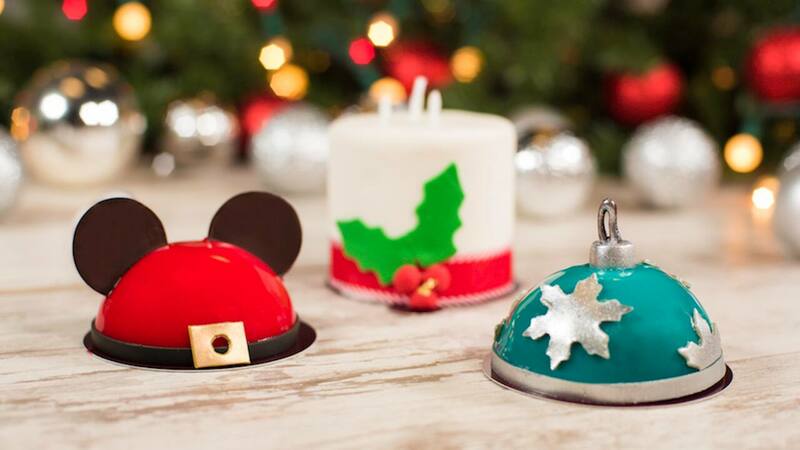 Starting at Amorette’s Patisserie, you’ll find a variety of items such as holiday mini-dome cakes. 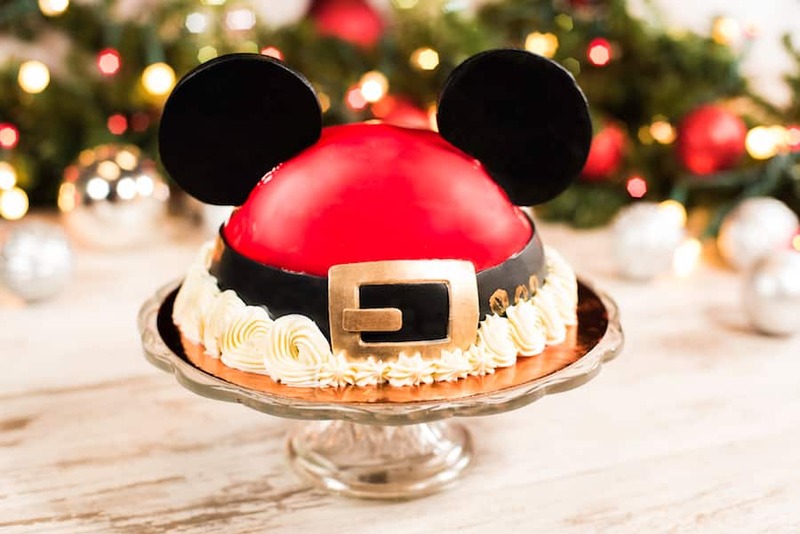 Try the Santa Mickey, Ornament or Candle holiday cakes, or even get a full-sized Santa Mickey cake to bring to your next holiday celebration. 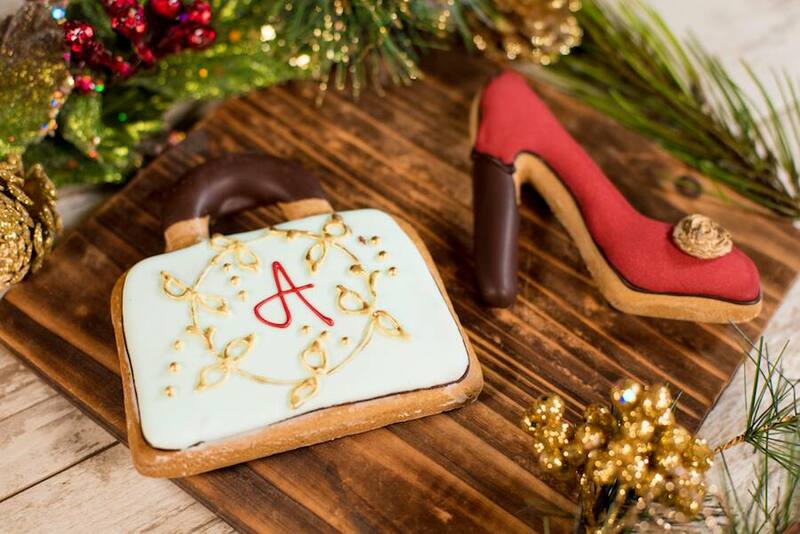 There are also cute high heel- and shopping bag-shaped gingerbread cookies, decorated with icing and perfect for an on-the-go sweet. 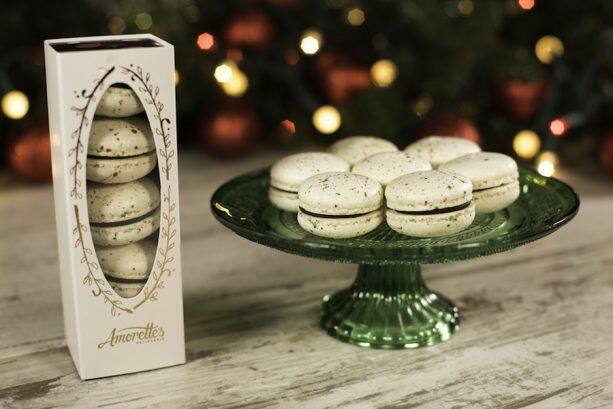 For the peppermint aficionados out there, you’ll want to try the delicious peppermint macarons. One of my favorite treats this year, these colorful confections are made with peppermint and have a sweet chocolate filling to complement the flavor! 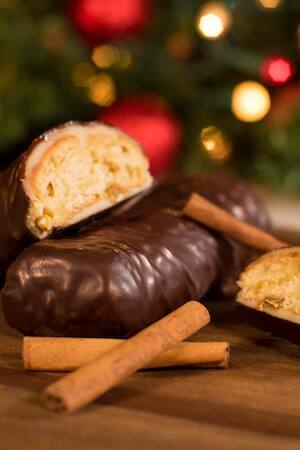 You’ll also find them at Amorette’s Patisserie alongside an array of other wonderful flavors. 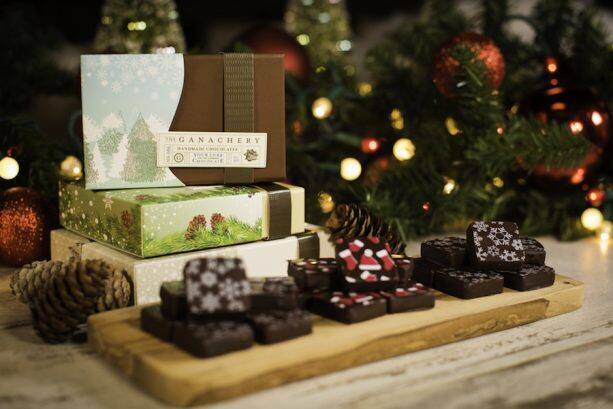 Over at The Ganachery, the chocolatiers are getting in the spirit of the season with their festive chocolate creations. Assorted ganache squares take center stage with new seasonal eggnog and peppermint flavors and beautifully designed holiday packaging. 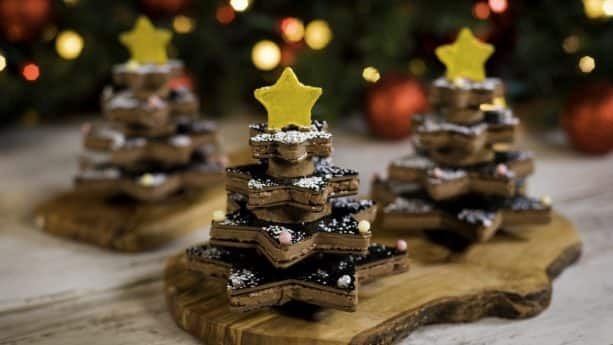 The Ganachery is also offering beautiful chocolate holiday trees with several layers of chocolate decorated with crispy pearl ornaments and powdered sugar. 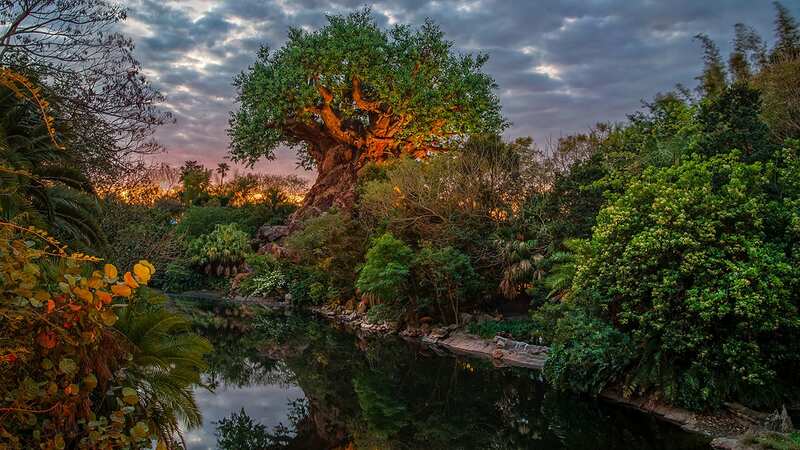 You’ll also find chocolate-covered stollen bread, gingerbread s’mores, chocolate-covered gingerbread marshmallows and hot sipping chocolate. 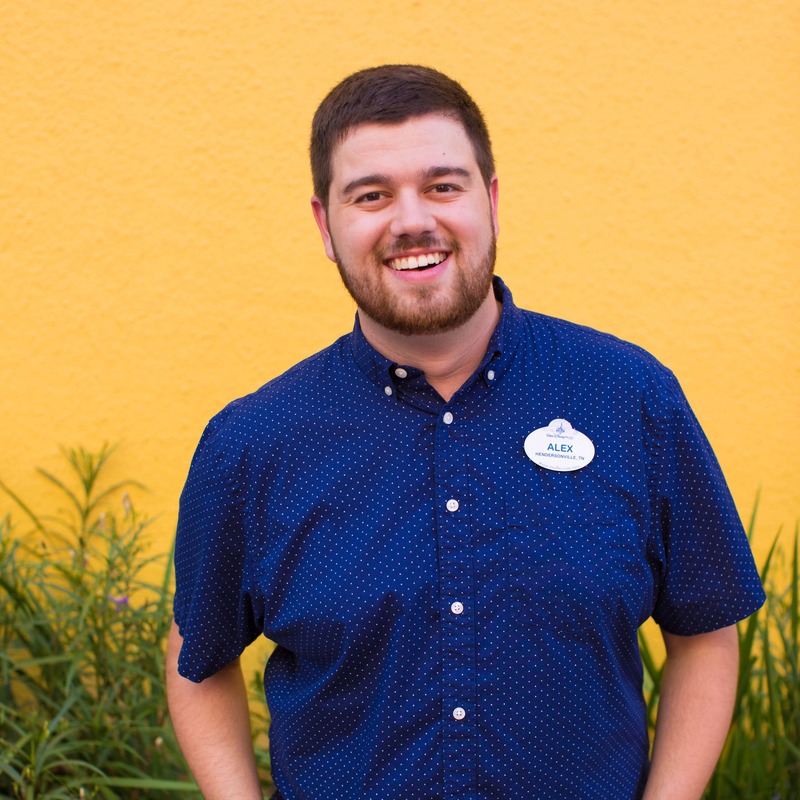 If you’re looking for some special holiday candy, stop by Goofy’s Candy Company or Disney’s Candy Cauldron, where you’ll find some yummy gourmet apples. 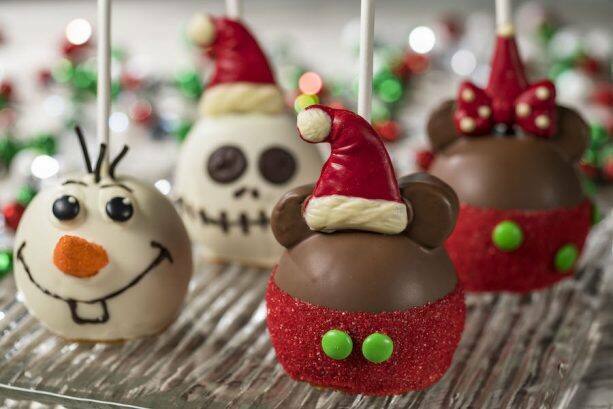 These apples are themed after some of your favorite characters, including Mickey, Minnie, Olaf and Sandy Claws! 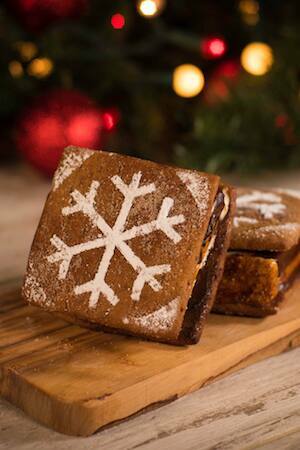 Dipped in chocolate and decorated with sugar, marshmallows and icing. They’ll be sure to satisfy your sweet tooth! Don’t miss the “Smores, y’all: I chanced upon them last week and my taste buds still haven’t recovered.